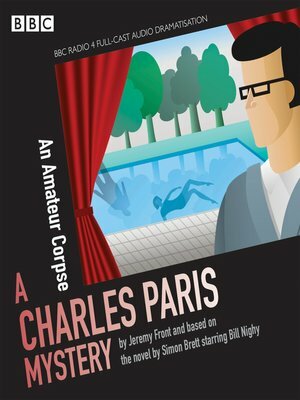 Bill Nighy stars as Charles Paris in this BBC Radio 4 full-cast adaptation of Simon Brett's comic crime novel An Amateur Corpse. Charles is out of work again, and to make matters worse his mother has come to stay and he's no way of escaping her. So when he's offered some voiceover work by old friend, Hugo, he's delighted to get out of the house. But Hugo's marriage is in trouble: his much younger wife, Ellie, spends all her time at her Amateur Dramatic Group, and Hugo is drinking too much. When Ellie is found drowned in their swimming pool, it seems Hugo is guilty of murder. It's up to Charles to prove his friend's innocence... Bill Nighy, Suzanne Burden and Geraldine McEwan are among the star cast in this entertaining mystery, dramatised by Jeremy Front.